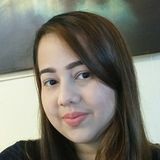 Want to connect with Manuela? Hi there my name is Manuela. I love child care and look forward to caring for your children. Please let me know if you are interested. Available: Great Sitter in Dunn, I'm available anytime, weekend and holidays, days and nights. Also will watch in your home.